Rose oil, meaning either rose otto (attar of rose) or rose absolute, is the essential oil extracted from the petals of various types of rose. Rose oil are extracted through the process of distillation, being used more commonly in perfumery. Rose oil is produced in countries like India, Bulgaria, Turkey, Russia, Uzbekistan , Iran, France, Egypt, and China. Due to the labor-intensive production process and the low content of oil in the rose blooms, rose oil commands a very high price. Harvesting of flowers is done by hand in the morning before sunrise and material is distilled the same day. Rose aroma wards off depressions and brings vibrancy to the user. It also ignites a desire for romance and love. Keora is a species of Pandanus native to southern Asia, from southern India. It is a shrub with fragrant flowers. Cultivated in the region of Ganjam district of Orissa, India. Keora flower is a spiky flower surrounded by prickly spines leaves protecting the flower. The flower is 10-20 inches long. Keora fragrance creates a cooling essence that cultivates creativity. It provides relive to the user when one suffers with insomnia. 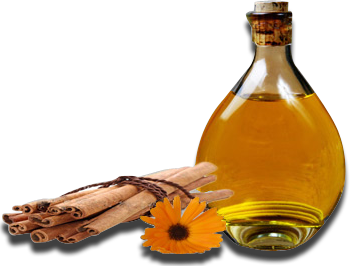 This exotic scent has played a very important role in Indian culture and has been used in indigenous medicines, perfumes, and cosmetics since ancient times. With the rise of aromatherapy as an important aid in re-establishing physical, mental and emotional equilibrium through the gentle agency of fragrance. Commonly known as wild Vetiver. This interesting grass whose underground structure is composed of a system of fine spongy fibrous roots can be found growing wild throughout North India especially in the states of Rajasthan, Uttar Pradesh, Harayana and Madhya Pradesh. Extensively used in various essences where the deep, mysterious, rich and earthy notes that the oil displays are required. Khus oil possesses a very dominant role. It acts as a refrigerant, during the hot summer months the oil is added to bath water or directly applied to the skin to reduce the effects of the external heat. Widely used in preparing a delicious sherbet that is a favorite summer time drink that quenches thirst and cools the body temperature. Motia or Jasmine is a genus of plants. They are shrubs or vines that grow in moderately warm climates. There are about 200 different species of Jasmine. Some species like Jasmine sambac are used to make special oil, perfumes or incense. A vibrant fragrance, developing a sense of balance, confidence, attractiveness and mental stimulation . Aroma of Jasmine captures in a most elegant and succinct way, the emotion that arises in the Indian heart when this flower is inhaled. Innocence, sweetness and purity are considered key inner emotions, which the flower's essence is capable of awakening in those who let its aroma penetrate into the center of the brain, which registers olfactory impressions. A relaxing essence that removes fear and evokes an attitude of surrender. Its aroma is considered auspicious in all religious ceremonies. The olfactory characteristics of sandalwood are legendary. The warm, sweet, slightly spicy precious wood notes present a melodic blend that is at once distinct yet not over powering. The non-dominating fixative characteristics of the oil make it the ideal choice for creating attars and a wide range of other perfumes. It has the capacity to absorb the most ethereal notes of other plant materials, enrich and enliven them and give them back in a yet more beautiful form. It is a rich, deep and intensely oriental fragrance much prized in India and the Middle East but relatively little known in the West. Knowledge of the Hina making process is a carefully guarded secret and has been portrayed, at best, as one in which a number of aromatic herbs, spices, roots, seeds, etc. have been combined and distilled to produce the characteristically potent oriental fragrance. Some of the raw materials used are spikenard, yew, oakmoss, cardamom, juniper berry, nutmeg, mace, clove bud, ambrette seed, laurel berry, valerian, galangal root, cyperus root and sugandh kokila, sandalwood, and saffron. The notes that contribute to the overall Hina compositions are deep mysterious spicy, sweet-woody-earthy, dry, bark like ones that while adding their own unique odor values also have superior fixative properties. Hundreds of aromatic molecules from different sources are permeating the sandalwood in order to interact with each other. Power, tenacity, richness, depth, and mystery increase at every level of this perfumes creation. The challenge before those who practice this art and craft in its most refined form is to get them to balance so that the composition does not become muddled and that its complex essence reveals itself as something possessing a distinct character and personality.